The West Virginia Higher Education Grant is a needs-based grant program for students interested in pursuing higher education at a participating college or university in the State of West Virginia. Students may receive this grant for up to four years of study, pending continued eligibility. Students can apply for this grant program by completing the FAFSA by the deadline. There is no additional application required. Student must be a U.S. Citizen and a West Virginia Resident. Students must have demonstrated financial need, according to federal financial aid methodology. Students must be enrolled in a degree seeking program and an accredited institution. Student must be enrolled full time. Student must be working toward the completion of an Associate Degree or first Bachelor Degree. The maximum award amount will vary each year. Currently, the maximum grant amount is $3,300 per academic year. The Higher Education Adult Part-Time Student Grant Program was developed to encourage adult students to return to school on a part time basis. This grant is renewable for up to nine years of part time study, or until the student completes the program for which they have enrolled. Adult students who are returning to a public college or university within the State of West Virginia are eligible to apply for this state grant program. To apply, the student must complete both the FAFSA and the school’s application for financial aid. Student must be a West Virginia resident for 12 months prior to application. Student must have financial need, as determined by the federal government. Student may not be incarcerated. Grant amounts are specific to the individual student application, and are determined by the actual educational costs. The maximum grant amount can potentially cover all tuition and related fees associated with educational continuation. This grant can be used to cover the payment of tuition and fees. The PROMISE Scholarship is a state administered scholarship program that is based on the academic performance of the applicant. 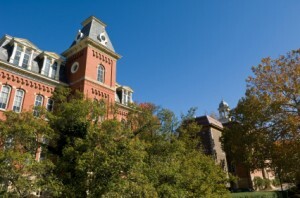 Students apply through the completion of the Free Application for Federal Student Aid (FAFSA) and the West Virginia Application for State-Level Financial Aid. Students are required to maintain a minimum GPA of 3.0. Students who have completed a GED must have a minimum score of 2500. Students are required to have minimum critical SAT scores of 490 (Reading) and 480 (Mathematics) or an ACT Composite score of 22. Students who maintain a 2.75 GPA their first year are eligible for renewal. A GPA of 3.0 is required with continuing study and students are eligible for up to four years of continued study. Students must also earn 30 credits within the first twelve month period of higher education studies. Scholarships of up to $4,750 per academic year are awarded based on merit and availability. The funds must be used to cover the cost of tuition and related educational expenses. The West Virginia Engineering, Science and Technology Scholarship Program was developed in order to give educational assistance to academically talented high school students who would like to study engineering, technology or the sciences. Students who are deemed eligible for this program must agree to work in a technology, engineering or science related job in West Virginia for a period of one year per grant award year. Those who do not complete this requirement will be required to repay the funding with interest, as though it were initially a loan. Scholarships of up to $3,000 per academic year are awarded based on merit and availability. The Underwood-Smith Teacher Scholarship Program was developed to encourage undergraduate students to study the field of education. Those training to be teachers from preschool to secondary school levels are eligible for this special scholarship program. Students who receive this scholarship must agree to teach two years per award year, in a public school within West Virginia. Special education teachers, high needs area teachers and some others may be eligible for a reduction to one year of service per year of scholarship award. Those who do not complete this requirement will be required to repay the funding with interest, as though it were initially a loan. Scholarships of up to $5,000 per academic year are awarded based on merit and availability. Although administered through the State of West Virginia, the Robert C. Byrd Honors Scholarship is a federally funded program, dependent on the availability of federal funds. Student must be a West Virginia resident. This grant can be used to cover the payment of tuition and fees and related educational expenses. The W.P. Black Scholarship Fund is meant to assist high school students with demonstrated financial need and proven academic capabilities. Student apply through the The Greater Kanawha Valley Foundation and must submit high school transcripts and SAT/ACT test scores. Scholarships of at least $1,000 per academic year are awarded based on merit and availability. The W.P. Black Scholarship Fund is meant to assist high school students interest in studying Library Science or Education with demonstrated financial need and proven academic capabilities.